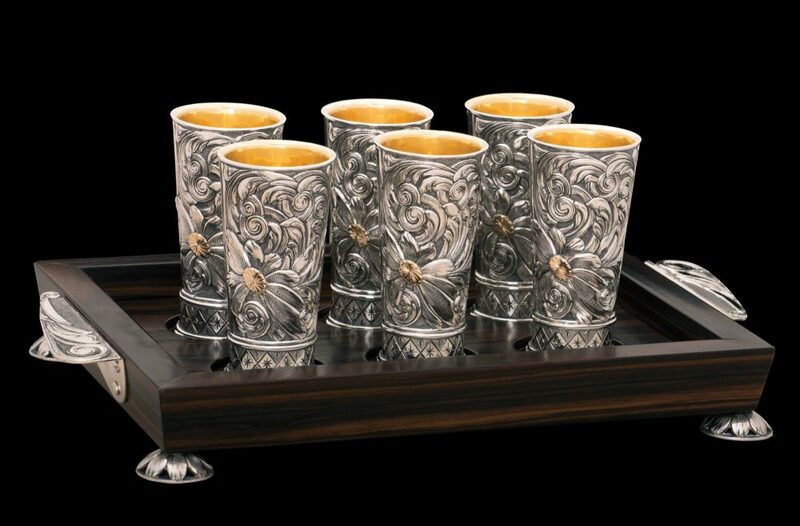 For Scott Hardy, this shot glass set is the result of old-world craftsmanship and art joining to create an elegant statement. The set is presented on a Macassar ebony serving tray, which features sterling silver handles and flower-shaped feet that Hardy fabricated. Each shot glass is slightly under 6 ounces of precious metals. Their purpose is to enhance the celebrations achieved in life — family, friendship, good horses, fat cattle, and good business — all the moments deserving to be savored one sip at a time. 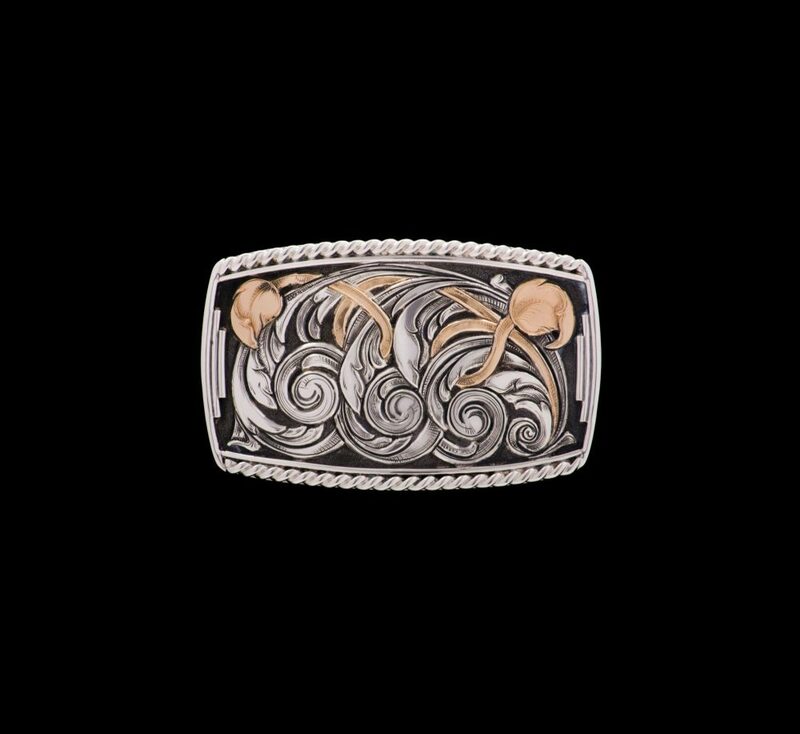 This sterling silver lady’s buckle is literally overflowing with sterling silver overlaid scrolls and flowers. 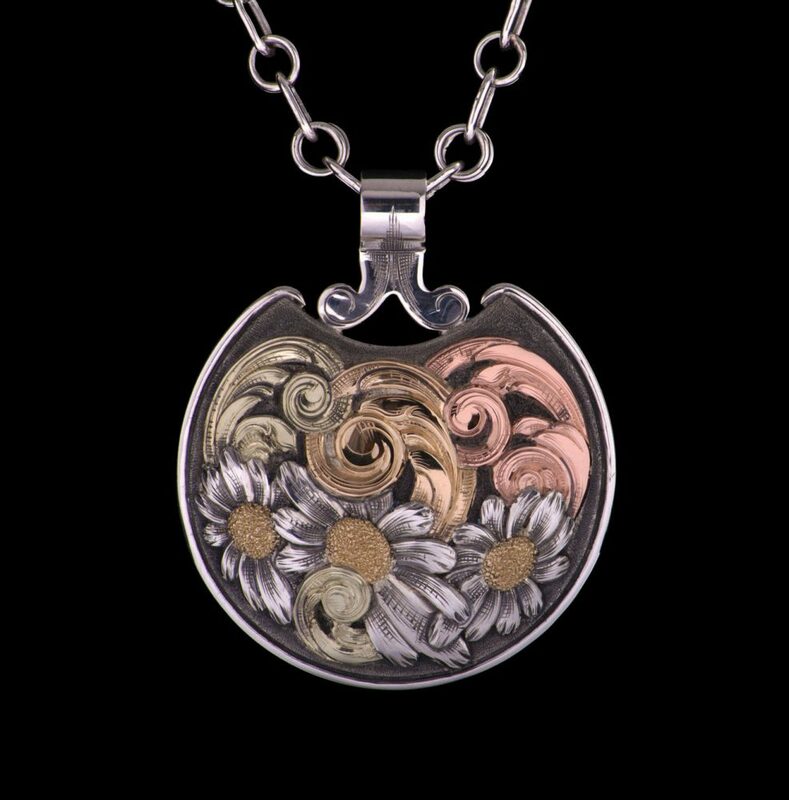 Each flower has a 14K yellow gold center. 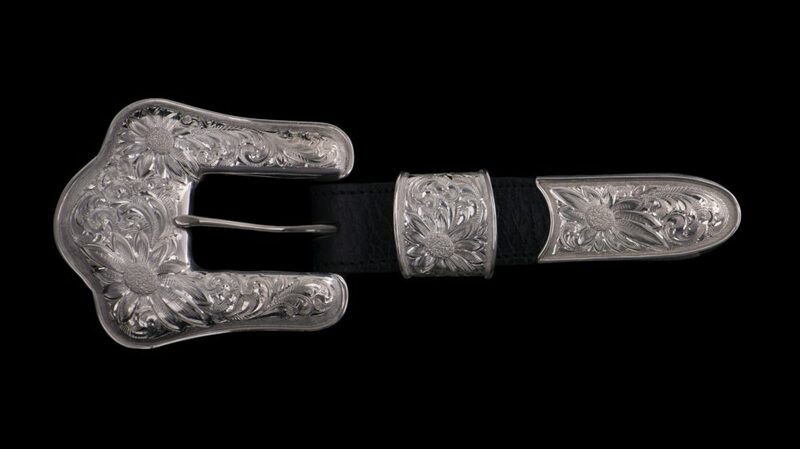 The buckle, 3 5/8 by 4 1/2 inches, is accompanied by a 2 1/2-inch-wide, hand-carved leather belt made by TCAA saddlemaker John Willemsma. The buckle and belt are meant to be worn over a shirt, dress, or jacket by a confident woman who is proud to share Western heritage. This three-piece sterling silver buckle set makes a statement with its look of strength, but the fully floral bright-cut surfaces and raised flower pods add a certain undeniable elegance. 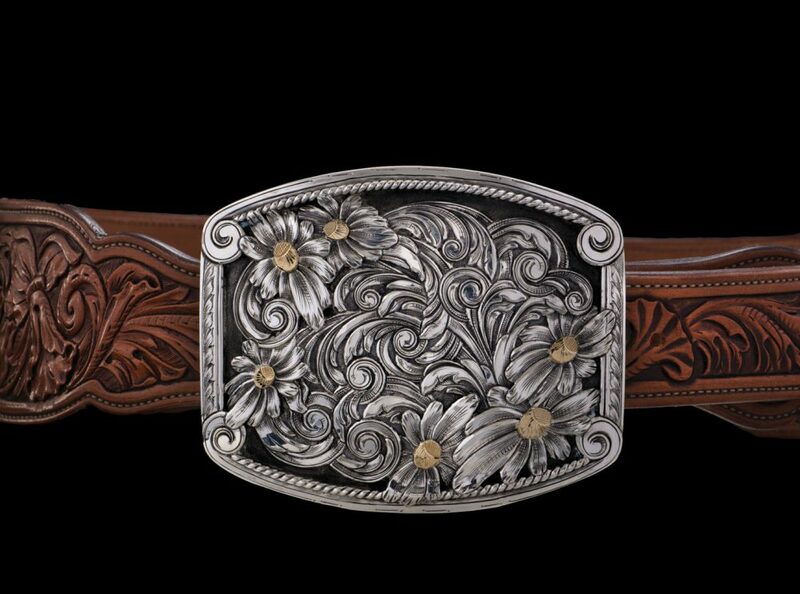 The buckle set is hand engraved, front and back, and designed to fit a 1-inch belt. Inspired by nature, this 2-inch pendant has three scrolls of red, green, and yellow 14K gold. Each scroll erupts from beneath sterling silver flowers featuring 18K yellow gold centers. The reverse is fully filigreed and highlighted by a 14K gold TCAA logo. Each link of the sterling silver chain was handmade by Hardy to complement the pendant’s strength and beauty. Measuring 2 by 3 1/4 inches, this sterling silver buckle by Hardy – which features 14K yellow gold vines and leaves running through three overlaid sterling silver scrolls – gives whoever wears it the feeling of both comfort and class. Fits a 1 1/4-inch belt.